Won for Best Picture; Best Actress-Janet Gaynor; Best Cinematography. Nominated for Best Art Direction. While most view 1927’s Wings as the first winner of the Oscar as Best Picture, some room for argument exists. The Academy hadn’t solidified the different categories, so two prizes went out at that first ceremony. 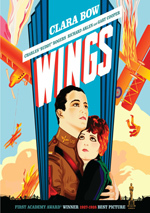 Wings won for “Best Picture, Production”, but 1927’s Sunrise took home the trophy as “Best Picture, Unique and Artistic Production”. I guess we should count both as “Best Picture” – a notion Fox embraces, as the case for this Sunrise Blu-ray touts it as an Oscar Best Picture winner with no caveats. Directed by FW Murnau, Sunrise comes with the subtitle “A Song of Two Humans”. At the start, we meet The Woman From the City (Margaret Livingston) - none of the characters have proper names – as she takes a vacation at the seashore. She has an affair with The Man (George O’Brien), who’s married to The Wife (Janet Gaynor). Clearly The Man and The Wife are experiencing relationship doldrums, and The Man seems tormented by his infidelity. Their farm suffers as well, and The Wife feels depressed. Nonetheless, he continues his tawdry affair with Woman, and she encourages him to kill The Wife so they can be together. The Man initially acts repulsed by the concept, but the sultry specter of The Woman entices him too much, so he plans to go ahead with the scheme. The Man invites The Wife to go for a boat ride, and she happily accepts his apparent renewed interest in spending time with her. When the time comes to execute the dastardly plan, however, The Man can’t go through with it. He does scare The Wife, though, who runs toward shore. He chases her to the city, where they reunite and go for a relationship-renewing day and night of fun. This culminates in events that settle whether or not The Man ends up with The Wife or The Woman. I’ve only spent brief periods with silent films, mostly due to reviews I’ve completed for the website. I enjoyed these smattering of flicks for the most part but they’ve not gotten me to become a big fan of the earliest cinema. The same went for Sunrise, which I thought presented an interesting experience but not one that really dazzled me. Sunrise worked best in stylistic ways. Apparently it continues to influence cinematographers, and I could see why, as the flick provided an innovative and distinctive piece. In addition to lovely shot composition, Sunrise manifested some technically impressive images. For example, we saw superimpositions that depicted the ghostly presence of The Woman as she tortured The Man from afar. While it could be tough to relate to the broad acting of the era, I thought the performances of Sunrise seemed surprisingly good. Gaynor came across especially well, as she offered a sweetly vulnerable piece of work. O’Brien also brought a glowering intensity to the early scenes, but he made The Man’s transformation occur naturally. Where Sunrise faltered related to the telling of the story. There’s not a lot to the plot, but it presented a workable tale. Unfortunately, the flick stretched the elements too far. Even at a mere 95 minutes, Sunrise lasted too long, especially when The Man and The Wife got to the city. The movie worked really well during the suspenseful sequences prior to that. Some of the city scenes also came across nicely, but many of them meandered and went nowhere. For example, we totally lost track of the story at one point to follow the misadventures of a drunken pig! Despite some flaws, Sunrise still manifested a fairly interesting experience. It worked best during its first act and sputtered a bit after that, though it offered a very interesting conclusion. The movie offered some lovely moments and it seemed well done for its genre and format. Sunrise appears in an aspect ratio of 1.20:1 on this Blu-ray Disc. The source material held back the quality of the image. As discussed in the disc’s restoration notes, the movie’s original negative was destroyed decades ago, so the transfer had to come from a secondary source. This meant that it might look decent but unlike era-mates such as Wings or The Jazz Singer, it never impressed. Sharpness varied but seemed generally positive. Most of the shots came across as reasonably distinct and accurate. Periodically, the movie looked somewhat soft and fuzzy, but those issues didn’t arise terribly frequently. Jagged edges and moiré effects created no concerns, and edge haloes appeared to be absent. Black levels came across as fairly deep and dense; those elements tended a little toward the gray side but not in a distracting manner. Shadow detail was acceptable; the grayish contrast meant shadows could be a little bland, but they were reasonably visible. At times, the movie flickered in a mild manner. Not surprisingly, print flaws created the highest level of problems. Some scratches popped up throughout the movie, and it also showed instances of specks and marks. These could’ve been worse but they still created clear distractions. Given the age of the movie, I felt this was a “C+” image. Aspect ratio note: the Blu-ray’s case claims to present Sunrise at 1.33:1, which seemed strange since the 2003 DVD was 1.20:1. As it happens, the case is wrong. I compared the Blu-ray’s dimensions with those of a definite 1.33:1 production and Sunrise clearly went with a narrower image. I felt fairly lukewarm toward the DTS-HD MA monaural soundtrack of Sunrise. Mostly the mix presented music. The score sounded somewhat dull much of the time, as it failed to present much liveliness. Not that I expected terrific fidelity from audio circa 1927, but I still felt the music tended to be moderately flat and bland. If I had to guess, I’d suspect that excessive use of noise reduction caused this dullness. The audio lacked much source noise, and given the age/origins of the material, it must’ve gone through extensive work to eliminate those distractions. Unfortunately, this appeared to leave the mix without much pep. The occasional example of effects came across as a little rough, but those elements were acceptable. It was the muddiness of the omnipresent score that suffered the most; the music tended to sound too bassy and without much high end. Even when the audio went for higher-pitched instruments, they failed to deliver range. That factor made this a pretty mediocre mix, even when I adjusted for age. In addition to the film’s original monaural mix, the Blu-ray of Sunrise included a more recently recorded Dolby Digital 2.0 track. This provided an alternate score and omitted the smattering of effects heard during the original track. The music showed nice stereo imaging and generally came across as clear and robust. I normally would prefer the mono mix just because it represented the original material, but the disc reproduces it in such a lackluster manner that I think the stereo track became more satisfying. How did this Blu-ray compare to the 2003 DVD? While the Blu-ray’s visuals seemed problematic, they still improved over what I saw on the DVD. The Blu-ray showed stronger definition and depth and also appeared to come with slightly fewer source flaws. Don’t expect the Blu-ray to blow away the DVD, though, as the restrictions inherent in the original film limited the amount of growth it could demonstrate. Audio was a different subject. When I reviewed the DVD, I praised the 1927 soundtrack, but this time, I found it to be weak. Unfortunately, I no longer own the original DVD, so I can’t make side-by-side comparisons. Based on my comments, though, I got the impression the Blu-ray’s producers used more noise reduction than was the case in 2003. I noticed mild but obvious flaws from the DVD’s audio, but those were gone here. Again, I believe that resulted from excessive NR, not from a superior source, so my guy tells me that the DVD’s 1927 mono track likely showed greater fidelity than that we got on the Blu-ray. The Blu-ray duplicates most of the DVD’s extras, and we start with an audio commentary from cinematographer John Bailey, who offers a running, fairly screen-specific piece. Though informative as a whole, the track seems somewhat inconsistent. On the positive side, Bailey discusses a lot of technical elements behind the film, and he also provides good background information about the participants. Unfortunately, the track sags at times, and too much of the time, Bailey simply tells us how “lovely” and “beautiful” the shots look. They may well look great, but we don’t need to hear this so frequently. Overall, the commentary provides some nice material, but it seems a bit erratic. Next we find a collection of Outtakes accompanied by commentary from Bailey. The snippets last a total of 10 minutes, one second. Big Sunrise fans will likely feel happy to see this unused tidbits, but they seemed rather inconsequential to me. I noticed nothing especially interesting about any of them. Bailey doesn’t appear all that impressed either. He tries to elaborate on them, but he mostly just discusses some minor technical elements and doesn’t really tell us all that much of use. In an odd move, the disc presents the same collection of outtakes a second time. On this occasion, it includes some text cards that offer a little information about the various snippets. The outtakes themselves remain identical to those seen along with Bailey’s commentary; only the additional text differentiates the two pieces. The cards offer some decent notes, but I don’t see why the two presentations weren’t just merged into one more efficient segment. Some text materials come after this. We find the Original Scenario By Carl Mayer With Annotations By Murnau. This doesn’t display the entire script, but what we see of Mayer’s writing seems interesting, especially since his version actually names the Man and the Wife. Since Murnau’s notes are all in German, their usefulness appears limited for most viewers. Elsewhere on the disc we get the movie’s full screenplay. In addition to the film’s totally silent trailer we locate Restoration Notes. These tell us a little about the movie’s history and how the transfer found here came to exist. They offer some decent information. Not found on the 2003 DVD, we discover the Silent European Version of Sunrise. This comes with a substantially shorter running time; while the standard cut lasts 1:34:23, the “European Version:” clocks in at a mere 1:18:46. In addition to the abbreviated length, it provides a number of alternate takes and angles. Those make it an interesting curiosity for fans. 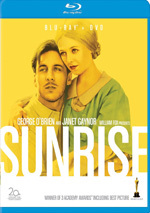 A second disc offers a DVD copy of Sunrise. It includes the same extras as the Blu-ray as well as a still gallery. Note that while this set adds the “Silent European Version” of Sunrise, it omits the substantial information about FW Murnau’s “lost film” Four Devils found on the 2003 DVD. Despite its vaunted reputation, I can’t say that Sunrise totally wowed me. Nonetheless, I found myself fairly interested in it, and it succeeded better than I expected, largely due to excellent visuals and some nice acting. 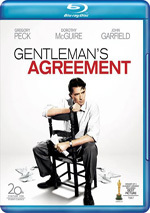 The Blu-ray delivers decent but erratic picture and audio as well as a good set of bonus materials. This became an acceptable reproduction of a classic film but not one that will dazzle, and I suspect fans who own the 2003 DVD won’t find much reason to “upgrade” – unless they want to see that “Silent European Version” of Sunrise, that is.